As Guyana contemplates the broader developmental gains to be derived from the country’s anticipated significant returns from its emerging oil and gas sector, how much sense does it make to heed the warning that an anticipated fossil fuel bonanza should not tempt us to turn our backs on an agricultural sector that has helped to sustain the country’s economy over many decades. The answer goes beyond simply recognizing the importance of us continuing to feed ourselves. 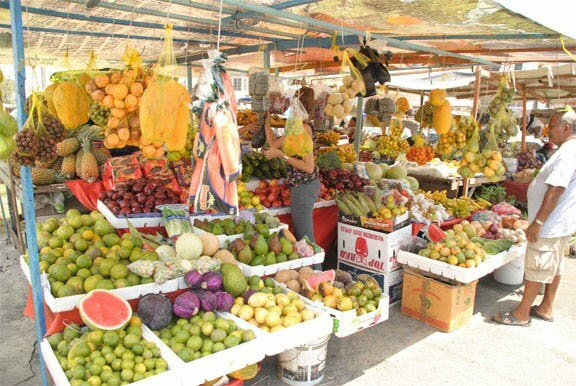 It is, as well, a matter of taking advantage of both existing and emerging opportunities to cash in on growing markets for farm produce, not least, fresh fruit in expanded metropolitan markets where considerations of changing taste and health consciousness are continually positioning tropical fruit to become a major money-earner for countries like Guyana in the future. Studies undertaken in North America and Europe suggest that consumer preferences are adjusting as those societies become more diverse and that those diverse communities are increasingly in pursuit of ‘home foods,’ particularly tropical fruits. The trend is reflecting itself in the aisles of supermarkets in North America in communities highly populated by immigrants, not least West Indians where tropical fruits and their agro-processed by-products fill their shelves, menus offering opportunities for farmers ‘back home’ through the supply chain. What the unofficial research suggests is not only that the evolution of additional cultures is encouraging fresh food consumption but also that – particularly in the case of immigrant communities from tropical countries – education, income and diets are directly associated with the purchase of tropical fruits. Research undertaken by the US entity World Variety Produce suggests that there are in excess of 50 major tropical fruits on the market today, or twice as many as there were two decades ago. 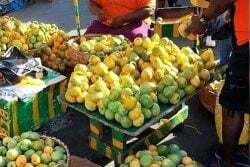 All of those fruits categorized as the ‘mainstream tropicals’ – avocado, banana, pineapple, mango and papaya which make up 90 per cent of fruit sales in the metropolis are grown in Guyana. Less known, but growing in popularity, are specialty tropical fruit varieties including lychee, durian, rambutan, guava, passion fruit, sapodilla, mamey and jackfruit. Many of these are already cultivated here and there is no good reason why experimental cultivation cannot be undertaken for the others. This would mean pressing local science-based agricultural institutions like the National Agricultural Research and Extension Institute (NAREI) into service. But the effort must go beyond that. If Guyana is to come even remotely close to other countries in the hemisphere (Mexico is a good example) that have taken a firm grip on the North American market for tropical fruit then it must embark on an ultra – ambitious programme to bring many more acres of land under cultivation and embark on an ambitious agricultural initiative, with all of the requisite investment in infrastructure including modern farming techniques, bearing in mind, of course, the health and safety requisites associated with importing food into North America. 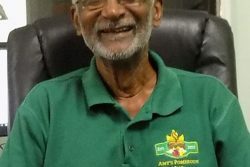 Over the years Guyana has had the experience of a largely unprofitable ‘trial run’ with exporting to the rest of the Caribbean and to parts of the United States, the latter targeting mostly West Indian shops catering to ‘back home’ constituencies. The reality is, however, that metropolitan consumers of tropical fruit have significantly upped their game with the major mega-outlets deploying personnel and merchandising teams not only to scout out new markets for fruit but also to develop new, more creative in-store displays aimed at increasing consumer awareness and desire. Mexico continues to be the United States’ largest supplier and on the whole global production of tropical fruit is projected to grow by 3 percent annually by 2024. It is felt, too, that the emergence of a growing middle class in emerging economies will impact positively on consumption of tropical fruit. While parts of North America including Southern Florida and California grow a variety of seasonal tropical fruit the demand for year-round products relies heavily on imports and this is where opportunities may well open up for countries like Guyana. At the present time Guyana is producing nowhere near the volumes of tropical fruit to make sense in terms of sustained and profitable export. Setting aside local consumption and limited exports of some fruit to parts of the Caribbean and the US, local fruit production has become intertwined in emerging agro-processing and fruit juice enterprises which, themselves, are seeking to make their mark on the international market. If the experience already gained in cultivating most of the globally popular tropical fruit will stand us in good stead there are still the challenges associated with the need to undertake heavy investment in land acquisition and preparation and the creation of the elaborate infrastructure associated with mega-scale fruit production. The emergence of an ‘oil and gas economy’ will obviously allow Guyana greater flexibility for investment in the non-oil sectors and there is no reason why tropical fruit should not be one of them. Mexico already has strong roots in the US market. They reportedly account for more than 40% of the US’s fresh fruit imports. The indications are, however, that the market is growing. 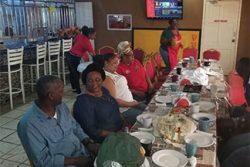 A report last year by the Food and Agricultural Organization (FAO) that the global tropical fruit trade was due to reach a new peak in 2017 should not be lost to Guyana. Interestingly, the report named avocados, mangoes, pineapple and papaya, all fruits that continue to be successfully grown in Guyana, as set to reach a new peak. Exports of these four key tropical fruits continue to grow faster than all other internationally traded food commodities, as consumers in the United States, Europe and now parts of Asia have developed a taste for crops that are still mainly grown for subsistence in developing countries, including Guyana. Ironically, so significant is the substantive global demand for tropical fruit that last year the ‘heavy hitters’ in tropical fruit production including Mexico, Costa Rica and India exported in excess of 7 million tonnes, with a global export value of around US$10 billion. In recent years drought has disrupted harvests of mangoes in Asia, South America and Africa, papaya in some regions of South America, and avocados in southern Africa. More than that, hurricanes have ravaged the Dominican Republic, which, up until now, remains one of the world’s largest avocado producers. Guyana has remained largely unaffected by these weather and natural disaster factors. The fact that most of the world’s tropical fruit is grown on farms measuring less than five hectares and that only 5 percent of what is grown is exported – when measured against the size of the global market – suggests that there is still more than enough room for countries like Guyana to look to the export market. The global market could grow even further. Reports suggest that affluent consumers in China are keen on the novelty and exclusiveness associated with tropical fruits. This has led demand for pineapples to outstrip domestic production, and shipments of avocados to grow an estimated 124 percent annually since 2013. So that while the prospects that repose in the exploitation of oil and gas provide the most potentially lucrative economic opportunity in the country’s history, contemporary evidence points to the benefits that Guyana can derive from looking to the global fruit market as a more than worthwhile option.